Getting your business website noticed is a critical part of any online strategy. We've helped hundreds of clients improve their search engine rankings, placing products like your's in front of as many potential new customers as possible to help business grow. We'll cut through the jargon and explain what it takes to be seen. We'll use keywords and phrases to improve your page rank value and use site code to optimise everything. Our on and off site internet marketing will help spread your message and we'll monitor everything to track results. Professional web design is just the start of your journey. Driving real traffic to your website requires a personalised seo campaign so, put your trust in us. We'll help you find out which words and phrases customers use to search for your website and explain how to incorporate them seamlessly within your web design. We'll help you increase page relevance and, over time, rise up the search engine rankings. Optimisation doesn't mean just one tactic, seo requires a planned approach across your entire business website. Our on site promotion consists of at least twenty different tried and tested seo techniques, all designed to improve your website performance. Optimisation doesn't mean just one tactic, seo requires a holistic approach across your entire business website. Our on site promotion consists of at least twenty different tried and tested seo techniques, all designed to improve your website performance. Each month, we'll provide the results you need to track your success. From traffic volume to keyword rankings, it will all be there to see, helping us identify the next steps to take your business on to bigger and better results. Getting noticed is good, but getting seen by the right people is better. We'll help your website design appeal to the right audience, generating traffic that's more likely to buy your products and services. 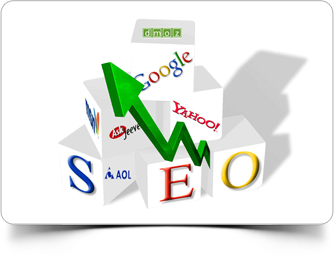 Our SEO services won't just be limited to your website. We can help with off-site promotion like article writing and distribution, link building and exchange or CPC campaigns too. We look at the whole of your business and don't rest until we've got things right. In case you need to set up email on your Outlook or you need something else, we are here to help. Most of assistance can be offered in minutes, via direct support link to your computer. Each package has allowance of 1 support session. All others may be chargeable. And you don't need to worry, unlike other companies we are available to chat, discuss the project over the phone or a simple face to face meeting. Search engine optimisation is a complex field with many so called 'experts' claiming they can deliver the world. How do you know which seo company to trust? Well, take a look through our portfolio then give us a call and we'll talk you through our successes to date. The proof is there in our satisfied clients. It's as simple as that.